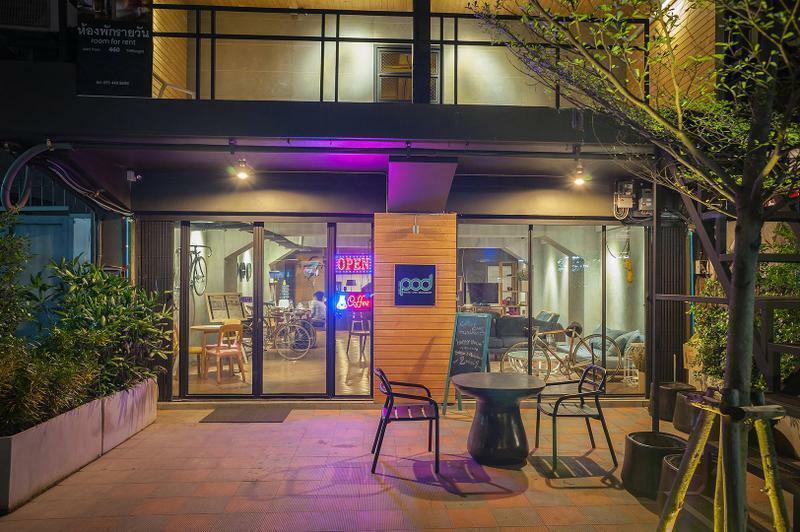 Located at a large transportation hub of Bangkok, POD Hostel Cafe Design Shop offers a quick route to all of the available attractions of Thailand. Enjoy air conditioned dorm areas with art-inspired facilities and friendly themed cafe and night bar built right into the hostel itself. Cozy up in our large single beds not usually found in other affordable hostels as you prepare yourself for travel to other corners of the country. You’ll find all you ever need here in Victory Monument area, one of the busiest and most vibrant district in the whole of Bangkok. Just 0,5 minute to take bus number 77, 74 to Chatuchak weekend Market, big C….